Workers' compensation is a benefit that is required under the Massachusetts state law, Chapter 152. Nearly all employers and employees are covered. It provides a system to pay injured workers or their families’ weekly wage loss benefits for total and partial disability, death benefits, medical expenses, vocational re-training costs and many other additional benefits. Our practice in the area of workers’ compensation law is exclusively devoted to representing the interest of injured workers and their family members. Over the years, we have represented many different types of injured workers, including those employed in the construction and building trades, service industry, health care industry, manufacturing industry and professional athletics. We have proudly represented both union and non-union workers and their family members in all types of work-related injuries and occupational disease claims. The Carney Law Firm has earned an excellent local and national reputation in representing injured workers and their families before the Department of Industrial Accidents (DIA). When choosing a Massachusetts workers’ compensation attorney, you should choose an attorney with a reputation for successfully representing injured workers at the Department of Industrial Accidents. Many attorneys and law firms may advertise that they handle workers’ compensation claims, but very few specialize in workers’ compensation law like we do. Workers’ Compensation laws have become very complex, and insurance companies have increased the resources they devote to defending your claim and saving themselves money (by not paying you). Because many insurance companies go to great lengths to deny and defend your claim, you need an attorney who has the knowledge and experience in the workers’ compensation system to guide you and your family through this difficult process in order to obtain the benefits you need to get your life back on track. Carney Law Firm does not charge clients any fees for consultations. If our firm is successful in obtaining benefits by way of filing a claim at the Department of Industrial Accidents, the Massachusetts Workers' Compensation statute provides the assessment of attorney fees and costs against the insurance company which has disputed an employee’s claim. When successful in negotiating a favorable settlement, our fee is a percentage of the total amount of the lump sum settlement (usually 20%) as set forth in the Massachusetts workers’ compensation statute. Carney Law Firm is committed to individualized attention to each one of our clients and their families, returning phone calls promptly, listening and addressing your questions and concerns, keeping you and your family informed throughout the entire process, and developing close personal relationships. We believe our client- focused philosophy is what allows our firm to deliver to our clients the best possible outcome of their claims, and is the reason why most of our clients are referred to us by former satisfied clients and their family members, or other attorneys practicing other areas of the law who have previously referred clients to our firm to their satisfaction. 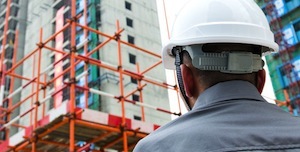 In addition to workers’ compensation benefits, an injured worker may be entitled to additional compensation if the injuries were caused by the negligence of a party other than the injured employee’s employer, such as another contractor at a construction site, or the manufacturer of a defective machine or product. This is what is known as a “third party negligence claim.” Carney Law Firm will thoroughly investigate your work accident in order to identify each and every source of possible compensation, in order to ensure maximum recovery related to your injury. For more information about Massachusetts workers’ compensation benefits, call us immediately at 617-426-9797, toll free at 800-640-2667 or complete our free workers' compensation evaluation form. One of our attorneys will reply to your inquiry within 24 hours.